Isn’t it just gorgeous? Kate has used this natural pallette to great effect in this very contemporary design. 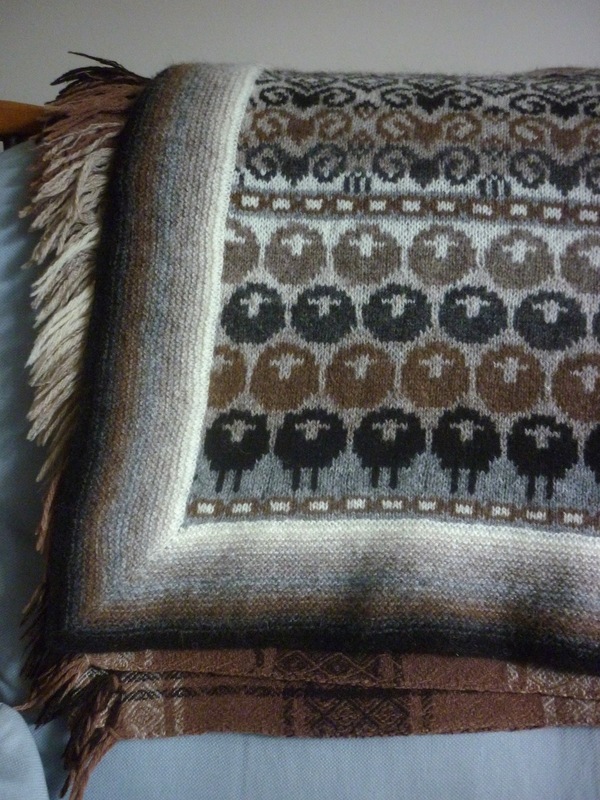 But there is more to this blanket than meets the eye. It juxtaposes modern design against traditional construction – although it also includes Kate’s very own ‘steek sandwich’, about which you can find more on her tutorial page. The construction mostly follows that of a modern Shetland lace shawl (traditional Shetland lace shawls were knitted in pieces and made whole with a combination of picking up stitches and grafting together): first you knit the centre square, then you pick up stitches all around to start the border, lastly you finish it off by knitting on an edging. As Kate used a stranded colourwork technique, the centre square is actually knitted as a tube, as that makes that MUCH easier. The tube includes a few steek stitches. Once the tube is finished, the steek is cut, and you can open up the tube into a square. Then you pick up stitches along all four edges of this square to start knitting the border in garter stitch; of course, as the border is knitted in the round, this means alternating knit rounds with purl rounds. In order for it to lie flat, the corners are mitred and I accentuated this by knitting the corner stitch on every round. It also neatly disguises the jog when you change colours. 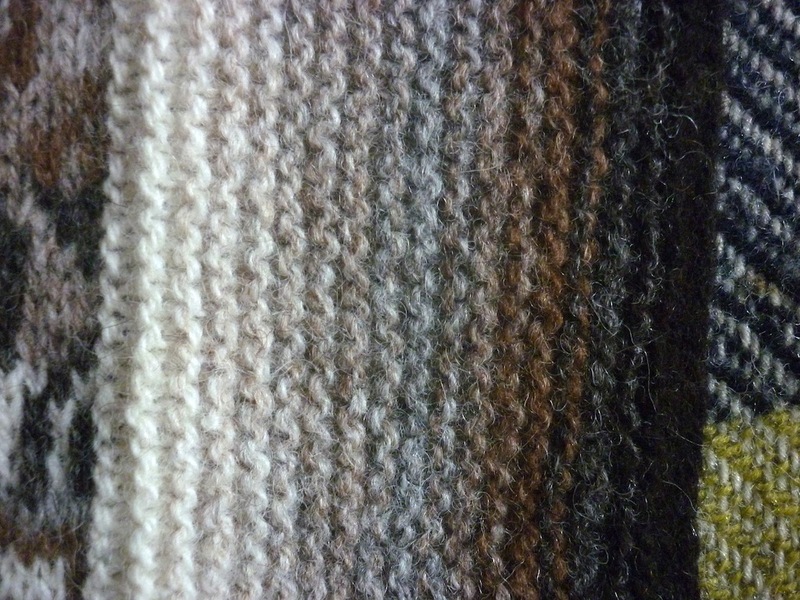 I really like the steely grey of shaela and at some point I’d like a jumper knitted in just that colour. In the blanket, I particularly love the combination of sholmit against gaulmogot, although secretly the garter stitch border is my very favourite element. Although the design itself is not traditional, Kate has used some typical Fair Isle colour combination rules: both background and motif colour change within the pattern and these colour changes are usually mirrorred along the central axis. Despite the appearance of the patterns, which shows highly stylised yowes (the Scottish word for ‘ewes’ or female sheep) and rams’ heads, this is not the easiest pattern to knit, due to the long floats at the back. I solved this by weaving in extra-long floats. Additionally, after washing the blanket, I ‘fulled the back’ by rubbing the back of the blanket with the palms of my hands. This starts the felting process, but you stop well before the knitted fabric turns into felt. This means that the floats start to integrate a bit with the knitted fabric, giving a neater finish. 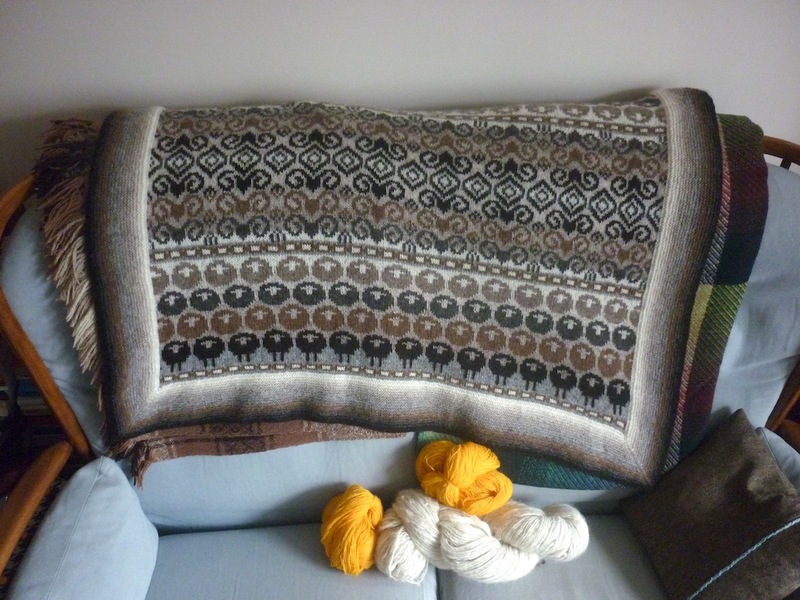 I can’t think of a better blanket to celebrate Wovember2012 with! As I will be busy helping out over at Wovember, I will be spending less time on my own blog for the duration of it. In addition to all the admin side of getting blog posts together and scheduling them etc, I have also planned to sew a pair of woollen trousers, so I will be very busy indeed – come join me at WOVEMBER and share your love of WOOL with us! Ah Tom, it is ever so lovely. 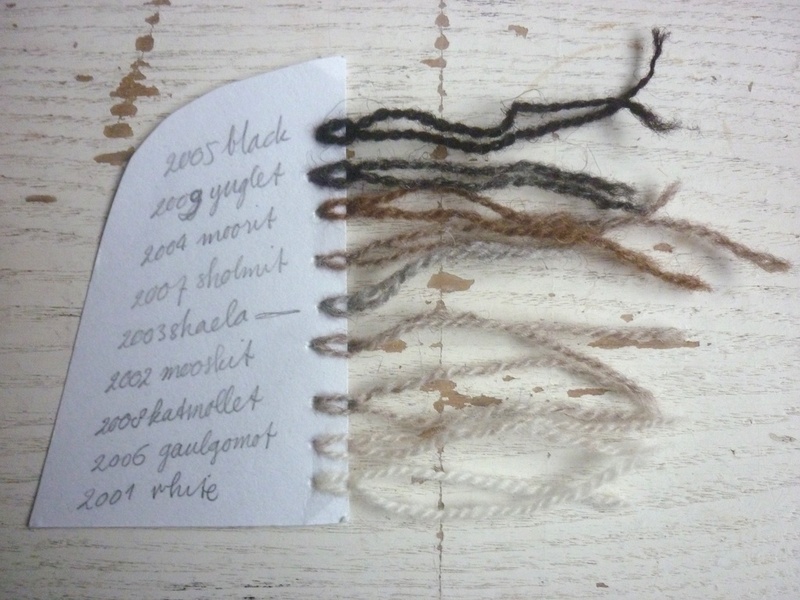 Your home-made shade card is a lovely touch, and I adore how this pattern celebrates all the natural shetland shades. 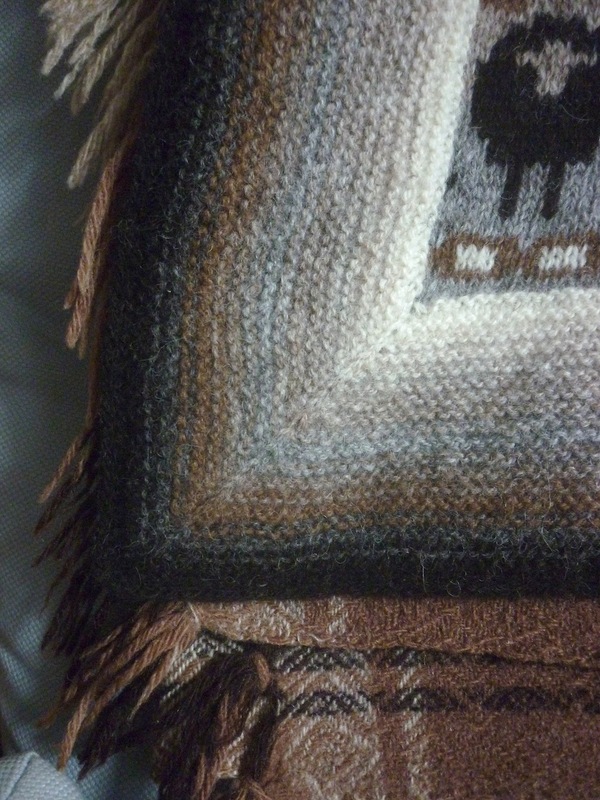 I also enjoy your keen eye for detail, and the way you discuss the construction and finishing of this clever blanket in this post. How very fine it looks, and how perfect indeed for Wovember! Utterly lovely, and it would make a delightful pram or cot blanket for a baby. The steek to make a tube that becomes a square is a useful technique. Earlier this year I did the back of a cushion cover in this way, as the idea of a square of st st made me lose the will to live. Doing it circularly as a tube meant I could mindlessly knit in the round, avoiding purl rows. Looking forward to your Wovember posts! The blanket is simply wonderful, but I reckon you have to be brave to “steek” it?! Well, I found the first time cutting a steek quite scary, but once you have done one, you don’t understand why you hesitated that long!